the now-global women's shelter movement from her house in Keswick, England in 1971. Feminists shot her dog and threatened her life to such a degree that Erin sought refuge in the United States. Warren Farrell is author of 8 books on Gender, Family, and Men, and is the leader of the movement to create a White House Council on Boys and Men. Warren Farrell was on the board of directors of NOW for three terms and a regular speaker on Oprah Winfrey until he began to discuss the fact that domestic violence is perpetrated equally by men and women. Warren, like Erin, became persona non grata at virtually all mainstream events for daring to speak the truth - the truth about Domestic Violence and the truth about Feminism. 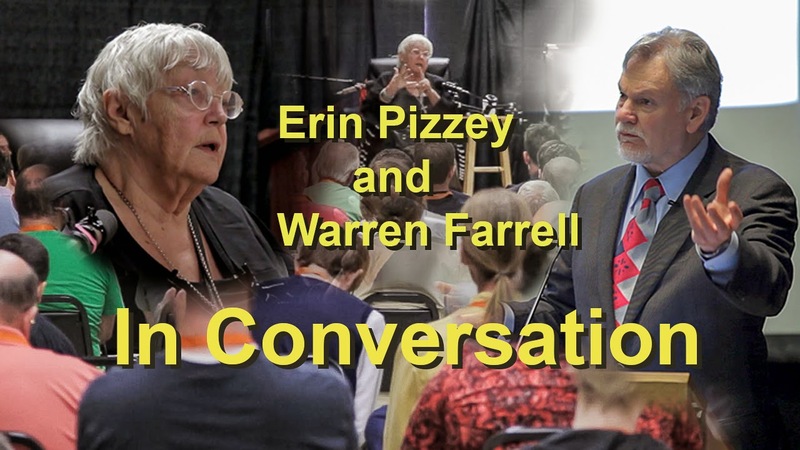 Warren and Erin are both very outspoken and active at conferences and events, including the first International Conference on Men's Issues in Detroit Michigan in September 2014. Erin delivered a passionate lecture about the alarming nature of feminism, which she now calls the Evil Empire, in Toronto at the 2014 Domestic Violence Symposium in May 2014. Bring your questions and comments and we will do our best to address them!